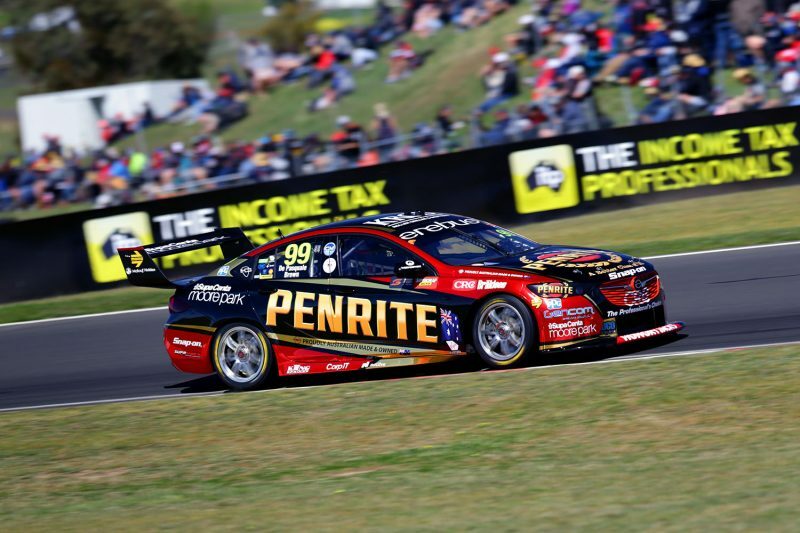 Anton De Pasquale is focussed on transforming his stunning Armor All Top 10 Shootout performance into a solid result in the Supercheap Auto Bathurst 1000. De Pasquale will start third on the grid in the race after an incredible lap saw him hold provisional pole for much of the Shootout. His effort was only bettered by team-mate David Reynolds, who was the penultimate runner, and Jamie Whincup who was the last to take to the 6.213km Mount Panorama circuit. “I put a lot of pressure on myself to perform,” De Pasquale said. “We knew qualifying wasn’t really the most important thing in the weekend but you want to qualify as high as possible. “Tomorrow’s a very long day and I can’t get too ahead of ourselves now. Having set the ninth fastest time in qualifying on Friday with a 2:04.6942s, De Pasquale improved to a 2:04.3498s during the Shootout. However, despite the three tenth improvement the 23-year-old had no idea how good his lap would ultimately prove to be. “It’s always, I think, difficult knowing when you’re one of the first cars on track,” he reasoned. “I didn’t know what time Garth (Tander) did, I didn’t know how the track would be, so just went as quick as I could and that was the fastest I’ve done all weekend. “Then, after a few guys went, you start realise it wasn’t actually too bad of a time. “It was quite a clean lap except the last corner, I went sort of bush,” he added. “Other than that I sort of just drove it as I did this morning, and it seemed quite good this morning. “At the time I didn’t know how competitive that was, all I knew was after the lap what Garth did, and that sort of gave me a little bit of confidence that the lap was alright. “Then, as the session went on, it was getting closer and closer to the top of the list. De Pasquale is set to share the #99 Erebus entry with fellow rookie Will Brown in tomorrow’s race.